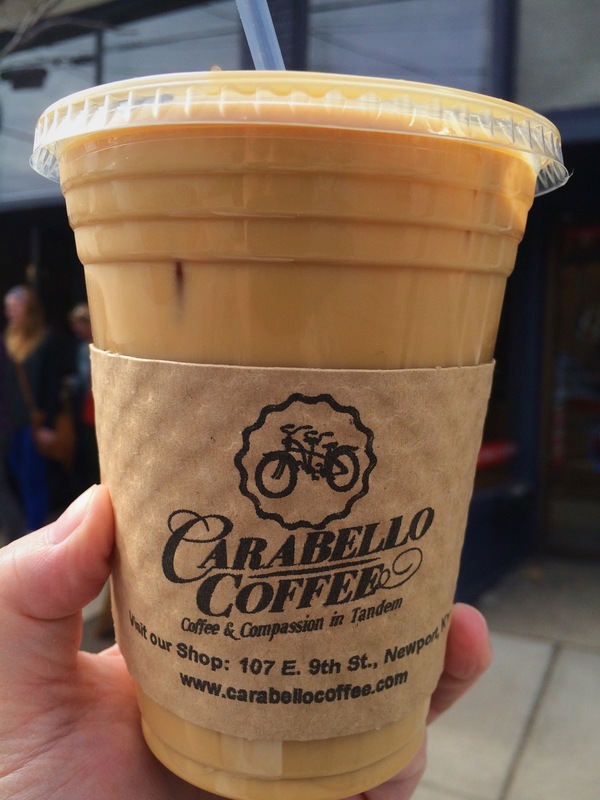 Carabello Coffee – Go There. Try That. Carabello- I’m a fan for many reasons. 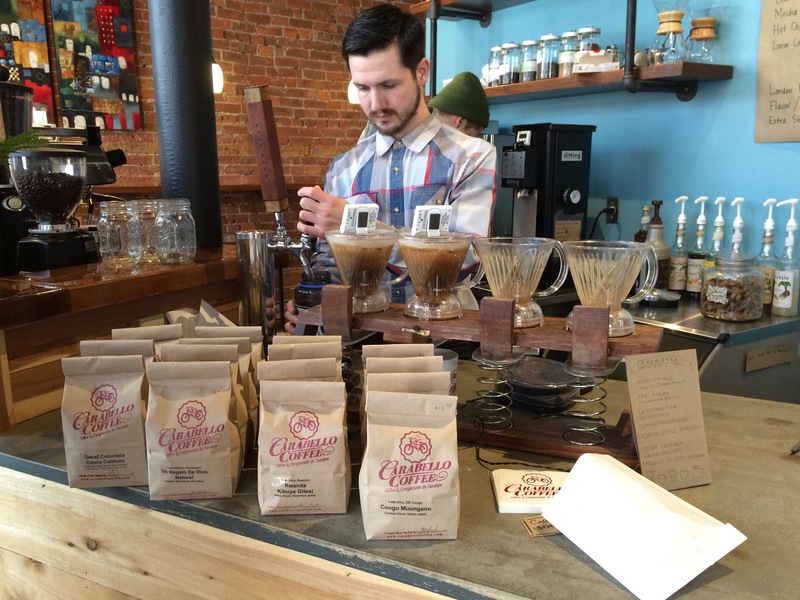 When I thought about writing a blog, creating a coffee category was a no-brainer. I love coffee. Granted, my husband says I “taint” my coffee by adding just a hint of cream and sugar. OK, I will be honest. It might be more than a hint of creamer. Basically, I like my coffee to be a beautiful shade of light caramel. Still, I love my coffee nonetheless. More than that, I like to hang out at coffee shops that serve quality coffee. One of my absolute favorite coffee shops is Carabello. I first learned of Carabello by sampling both their coffee and gourmet popsicles at a local farmer’s market. These are not grocery store popsicles, but gourmet, homemade, intriguing flavors, perfect on a hot day popsicles. I was not only impressed with the product, but with the customer service. Seriously, these are some of the nicest people I’ve met. 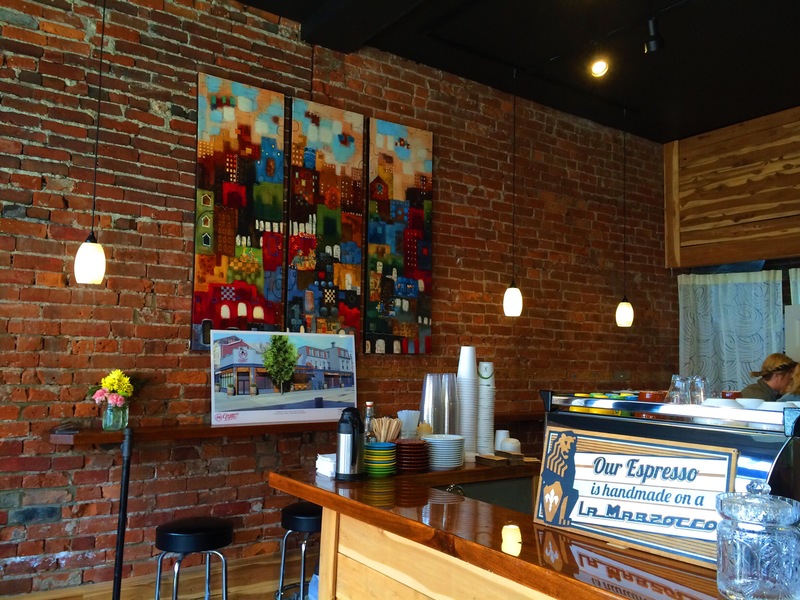 I could not wait to check out their coffee shop in Newport, KY. Carabello serves great coffee, and they roast their own beans. My favorite product for you to TRY would be the cold brew. 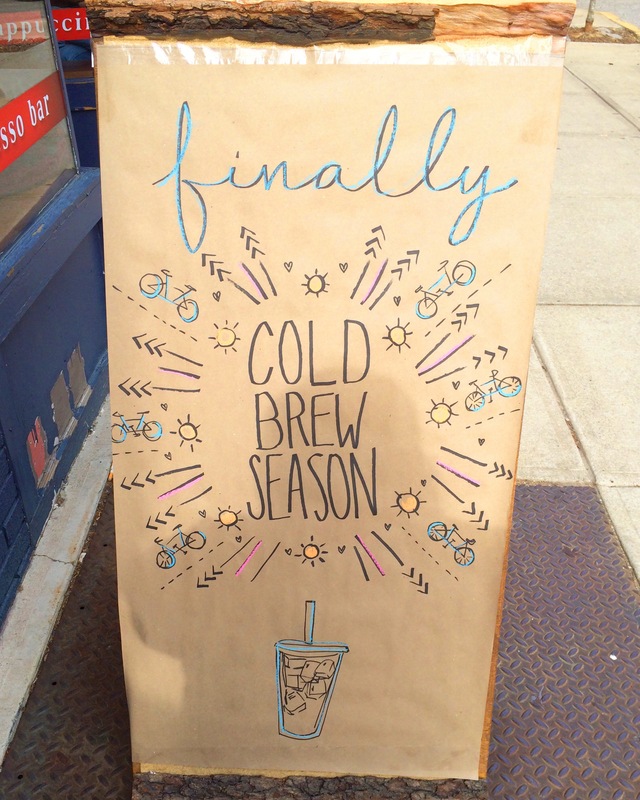 Hands down they have the best cold brew. Refreshing, bright, and straight off the tap! Plus, they serve up some awesome latte art! My husband is a huge fan of their coffee and their chai latte. Beyond the quality coffee, I am so into what Carabello is all about. The vision and their mission. Carabello gives back locally and globally. For example, when I grab that cup from Carabello my coffee dollars are supporting orphanages, empowering women, and providing aid to HIV stricken communities in places such as Nicaragua, Kenya, and Rwanda. Also, this coffee is organic and Free Trade. This ensures that farmers are paid fairly. We fell in love with Carabello’s a few years back when we heard their story of philanthropic coffee roasting. 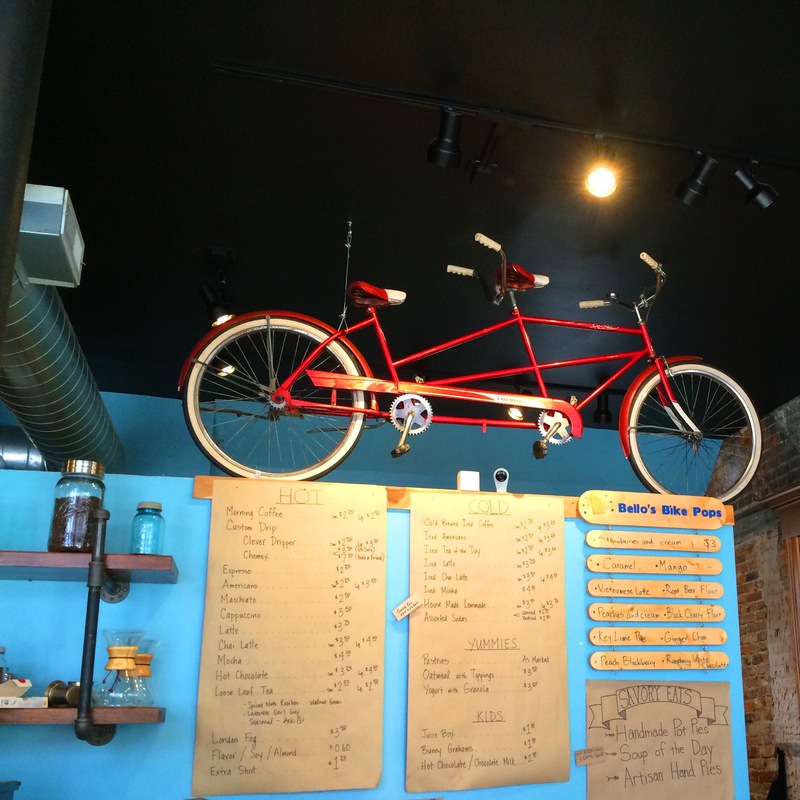 We immediately knew we wanted to support them…plus they roasted delicious coffee. We started seeing them at the farmer’s markets, then we started talking to the baristas and everyone was so kind and open to hearing or sharing a story. Kenny looked forward to getting a cold press on a summer day at the Anderson farmer’s market. We now enjoy going to the shop in Newport. 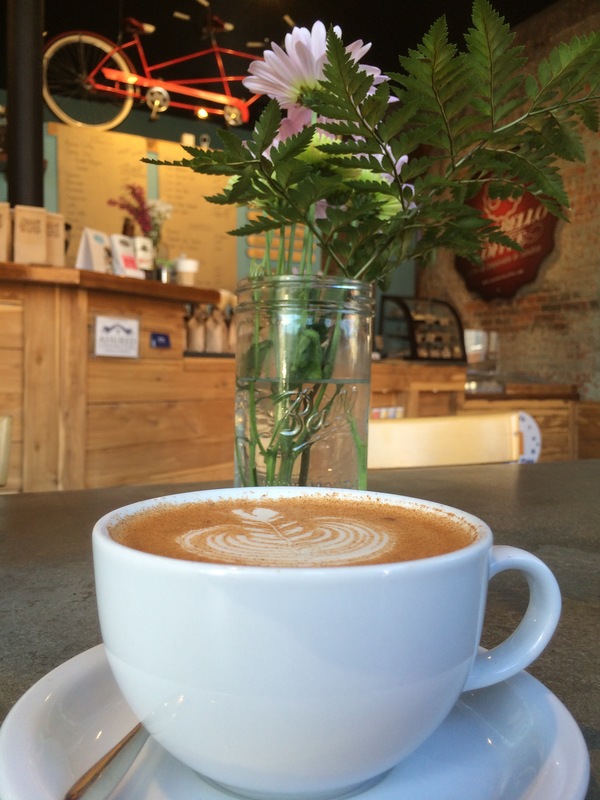 We are able to call a couple of the baristas by name and are greeted by them when we walk in the shop. This is what it’s all about. Enjoying great coffee in a great environment where others are willing to hear each other…and a portion of the proceeds go to a great cause. It doesn’t get any better. P.S.- I tried a sea salt chocolate chip cookie last time (with my cold brew, of course) and it was divine! The baked goods made by Canteen Bakery are absolutely incredible! GO THERE (Carabello)! 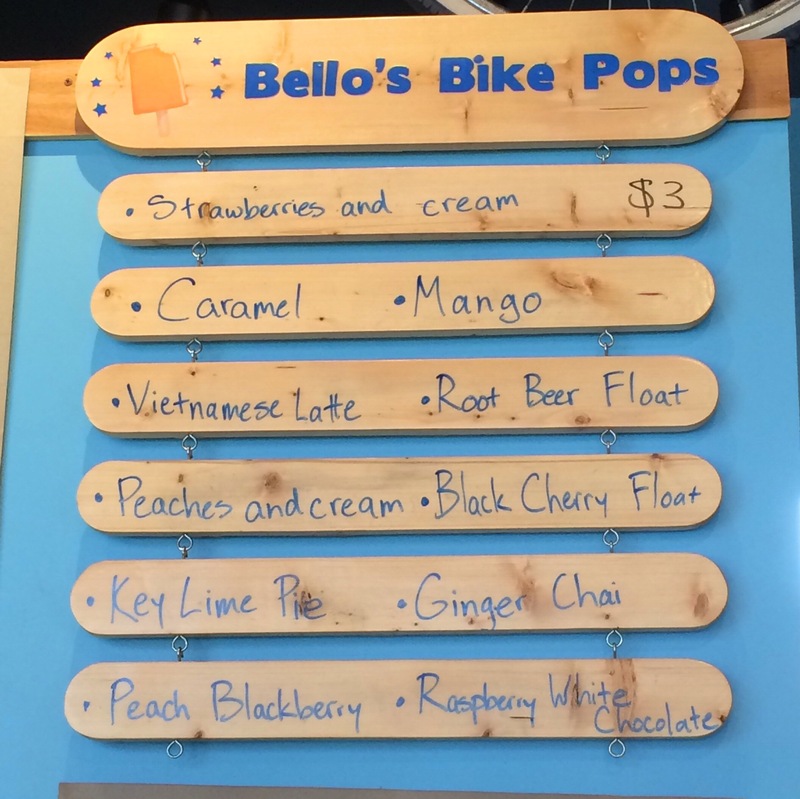 TRY THAT (cold brew, bello’s bike pop, cateen baked goods)! Gomez Salsa, Halfcut, and Macaron Bar Top of the Park- the view!